We’re pretty big nerds when it comes to architecture and design, so when we saw this board game over on Archinect this morning, we immediately added it to our wish list. The Modern Architecture Game designed by NEXT Architects pits you head to head against your fellow intellectuals to see who knows the most about architecture and the architects behind their masterpieces. This trivia board game may not help you be a better designer, but at least you’ll be able to prove who has the biggest brain. The four principals at NEXT Architects developed the first version of The Modern Architecture Game back in 1999 and distributed it privately at Delft University of Technology. Now 10 years later the team has released their second version – an international game produced in English with new questions that range across the breadth of modern world history. Test your knowledge of the greatest architects, their famous buildings, and legendary quotes as you make your way around the board to win the game. Player pieces are mini replicas of famous buildings from around the world, and if you answer a question wrong you’ll be forced to wear the infamous round glasses of Le Corbusier. 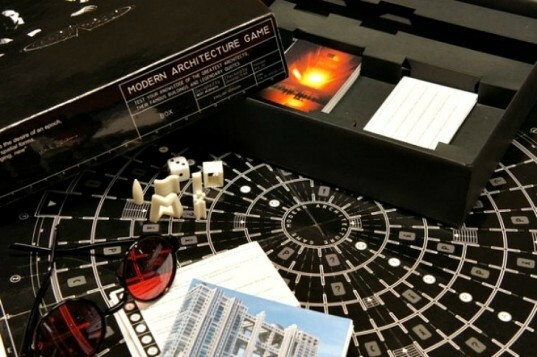 The board game was developed by NEXT Architects, but it is being distributed for retailers by Idea Books. You can purchase your own game for €45 through NAI Booksellers and Architectura & Natura (ISBN: 9081513214 ). We're pretty big nerds when it comes to architecture and design so when we saw this board game over on Archinect this morning, we immediately added it to our wish list. The Modern Architecture Game designed by NEXT Architects pits you head to head against your fellow intellectuals to see who knows the most about architecture and the architects behind their masterpieces. This trivia board game may not help you be a better designer, but at least you'll be able to prove who has the biggest brain. The four principals at NEXT Architects developed the first version of The Modern Architecture Game back in 1999 and distributed in the private environment of Delft University of Technology. Now 10 years later the team has released their 2nd version - an international version produced in English with new questions that range right across the breadth of modern world history. Test your knowledge of the greatest architects, their famous buildings and legendary quotes as you make your way around the board to win the game. Player pieces are mini replicas of famous buildings from around the world and if you answer a question wrong you'll be forced to wear the infamous round glasses of Le Corbusier. 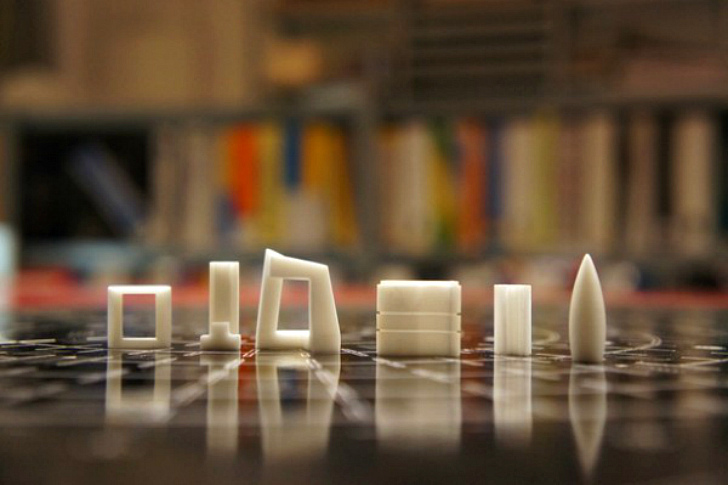 The board game was developed by NEXT Architects, but is being distributed for retailers by Idea Books. You can purchase your own game for €45 through NAI Booksellers and Architectura & Natura (ISBN: 9081513214 ).